A tropical nation with white sandy beaches, turquoise waters, abundant marine life, exquisite luxury, and palm trees – the 1190 islands of the Maldives, strewn across the Indian Ocean, is the stuff of dreams. Unfortunately, the beauty has far been hidden from the eyes of backpackers thanks to the astronomical cost of travelling in the Maldives. However, things are starting to look up for the budget-savvy travellers ever since the government shook up a few tourism laws in 2011. 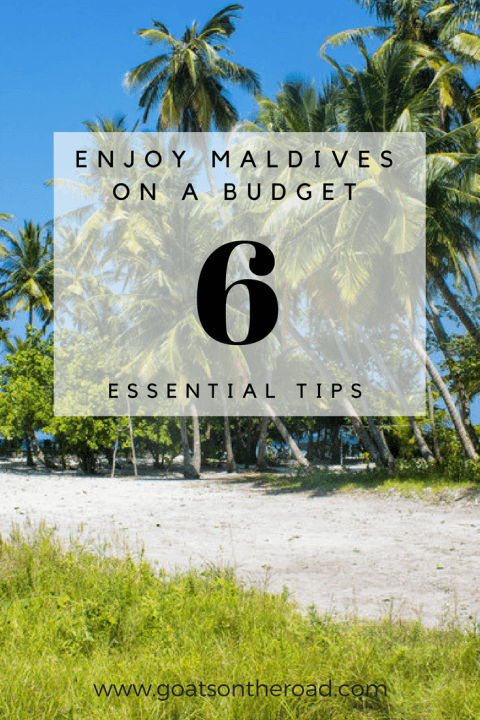 Today, with careful planning & a few smart hacks, the Maldives can be done without causing a serious dent to your finances. Most travellers to Maldives tend to first book a ‘resort’ based on their preferences and then plan their trip around it – a decision that can prove costly. Maldives, unlike popular conception, is a wide country. 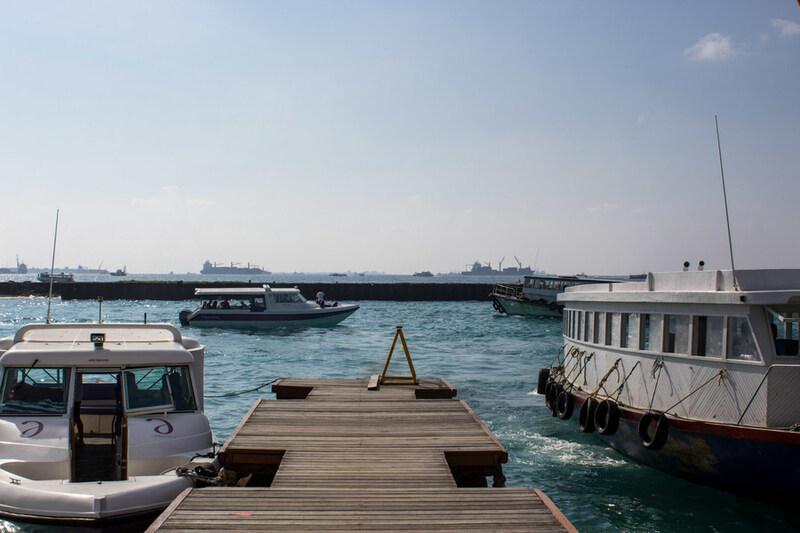 Getting to some of the islands in the extreme south or extreme north takes more than 6 hours from the capital of Male and most resorts only operate ‘seaplanes’ to take travellers there. Resorts that are served only by seaplanes are likely to charge as much as $300-400 for a return seaplane ride from Male. This expense can be completely cut down by choosing an island that is relatively closer to Male. The closer islands are accessible by speed boats and it will cost you around $130-140 for a return trip. When you are selecting your island of choice, cross-reference its distance from Male and ask about the ‘transport’ costs. 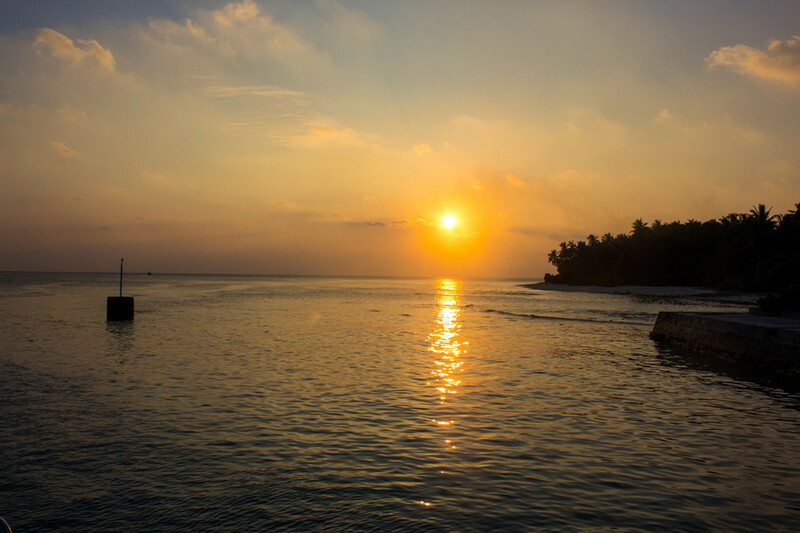 There is no doubt that the resorts in the Maldives are world-class and qualify as a once in a lifetime experience, but it isn’t the only reason to go to this stunning tropical nation. A night in some of the most basic resorts cost upwards of $200 for a double room – almost five times that of a decent hotel stay in most countries. In 2011, the Maldivian government passed a law that allowed for locals to run guesthouses and turn their houses into homestays. Today, there are many guesthouses/ homestays all across the Maldives with an average price of about $75 – $80 for a double room. There are also a range of affordable luxury options, which is a cross between hotels & resorts. Guesthouses in Maldives is a website that curates some of the best guesthouses in the country. Upon putting in a request, you’ll get a full package deal from the guesthouses mentioned on the site, based on availability. Almost all accommodation options in the Maldives provide full-board packages, i.e the nightly price comes inclusive of three meals a day. All accommodations also provide half-board packages where lunch is excluded. Going for the ‘breakfast only’ package is also an option, but we strongly vouch for the half board package. Most of the islands in the Maldives that have guesthouses / resorts are usually sparsely inhabited or uninhabited. As a result, there are very few restaurant options (or none) apart from where you stay. There might be a supermarket but they’re nothing like the 7-11’s that you’ll see in other parts of Asia. 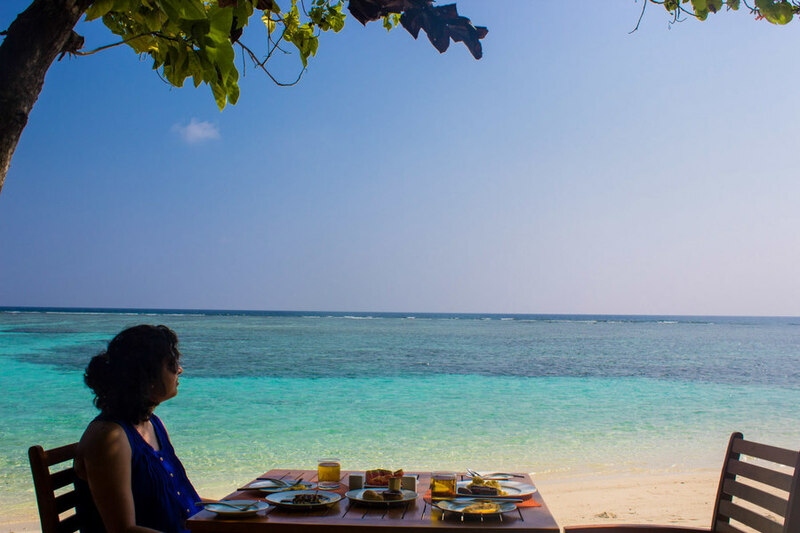 Having said that, you’re likely to be involved in some outside activities like a sandbank trip or a diving expedition during lunch hours, making the half-board package the most suitable option. Ok, we know that traveling off-season is a universal and obvious budget-saving tip. But, in the Maldives, it becomes all the more crucial. A night in a hotel can cost upwards of $200 during the peak season, while in the shoulder season, the same room can be under $50. On special occasions like Christmas, New Year’s and Valentine’s Day, almost all places will charge you a special ‘festival’ surcharge too. The best time to go to the Maldives is between May & November. 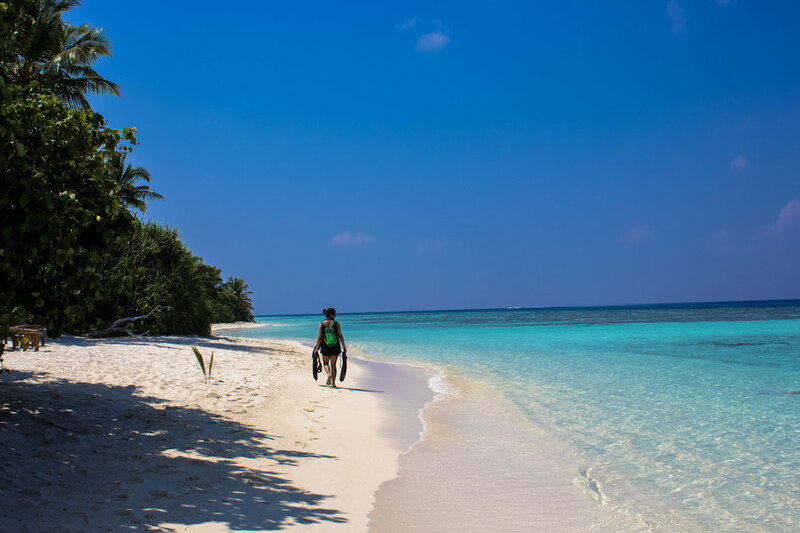 While you’re likely to encounter some rainfall during this time, it’ll increase your chances of spotting rare aquatic creatures like hammerhead sharks, manta rays and whale sharks that frequent the opulent waters of the Maldives. 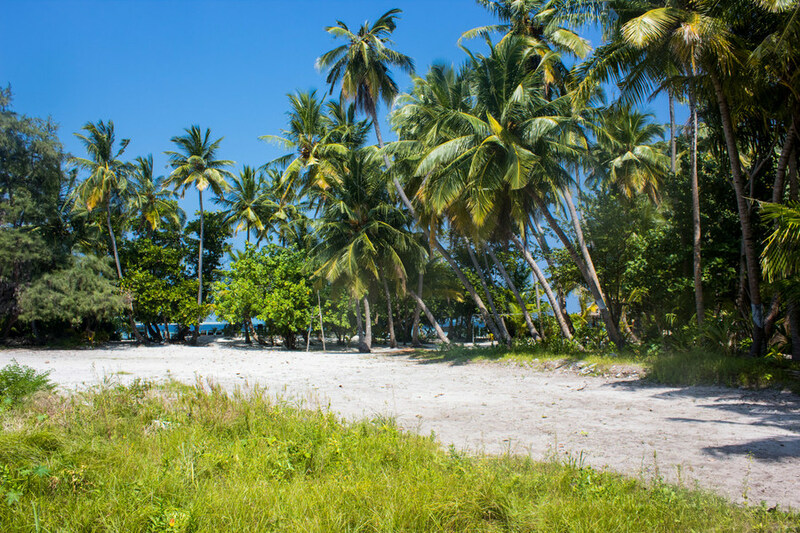 With less tourists on the beaches, you could have the entire island to yourself, while spending a lot less money than during the high season. As discussed earlier, speedboats and seaplanes are the two most common ways of transfer from the airport to your place of stay. They’re usually scheduled for twice a day and one of the timings would most likely fit in with your arrival time, making it a very convenient option. But, if time isn’t a factor for you, consider using the public ferry for transfer. The public ferries are used by the local Maldivians to travel between the capital & other islands. While there won’t be any welcome drink or wet tissues upon boarding, it will take you from point A to point B safely for as low as $2 – $3. The catch is with the timing of these ferries. They run only on a few days and at specific times. A complete schedule of public ferries is available here. Take a look at it before booking your flights. If you can time your flight to match with the public ferry timings, you’ll save upwards of $100! Apart from lazing about on its sun-kissed beaches, the Maldives offers numerous water sports – from surfing to deep-sea diving. Almost all guest houses and resorts offer a range of these activities that you can undertake, for an extra cost. On average, each snorkelling trip is priced around $30 while an open-water diving course will cost you around $500. Depending on your place of stay, these prices can vary significantly (all the more reason to choose a guesthouse instead of a resort!). You can save some serious money by mindfully curating the experiences you want to have. Since every Maldivian island has an in-house reef, you could rent snorkel equipment and peep into the underwater life without having to go on a specific tour. Unless the snorkelling trip takes you to a special spot filled with whale sharks, hammerhead sharks or manta rays, avoid it and go snorkelling yourself for a fraction of the price. While dolphin cruises are pretty popular, you’re likely to spot them anyway without going on a special tour for the same experience. If you’re seriously into diving or surfing, stay at a place that has an in-house diving / surfing centre. The in-house reefs of Maldivian islands teems with aquatic life that you won’t get enough of! The Maldives may not be a backpacker’s paradise like Thailand or Vietnam. But, it can still be done on an affordable budget. Rest assured, the moment you see the coral islands from your airplane seat, money won’t even cross your mind. Divya and Vikas are teachers turned travellers from India. When not making children play or laugh, they travel to where their hearts take them. Besides, they are possessed with a mad love for words. On their blog, Beyond The Wall, you will find a list of budget guides, honest stories from around the world, and their bold opinions on and off the world of travel. Get to know them more via Instagram and Twitter. There are many ‘affordable luxury’ options in Maldives. We ourselves stayed at Plumeria Boutique Guest House. At 100$ per night, you’ll get a nice double room in a brilliant resort with all facilities you’d want. Some of the other decent ones are Casa Mia/ Aveyla Manta. So now everyone can experience Maldives beaches on a budget? Awesome. That’s a great news for budget travelers because Maldives is known for beautiful beaches and crystal clear ocean. Thank for your tips lot of people will discover this beautiful gem situated in Indian ocean. Really appreciated the effort. Keep it up. Cheers. i wrote about my experience in the maldives in a post. shared a few tips from my own experience on how to make it fit your budget and just improve the experience. would you mind sharing it? just started the blog so i am trying to get it out there as well.